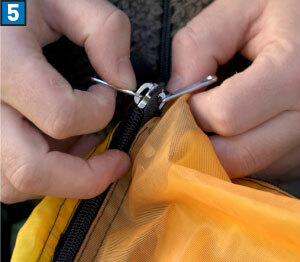 Often the first sign of trouble with a zipper is that the zipper does not stay closed when you try to zip it closed. 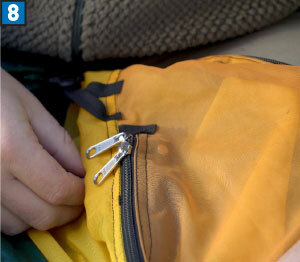 What normally causes this is dirt and grit in the zipper wearing small groves on the inside of the zipper slider. 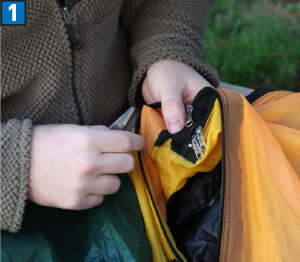 As a temporary fix, you can squeeze the sides of the zipper slider together until you have time to replace it. 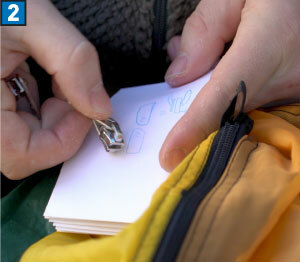 It is important to regularly clean your zippers to prevent this from happening. 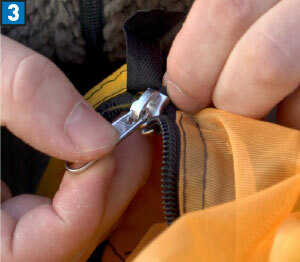 Click here to download a PDF of instructions on how to replace your zipper sliders. 1. 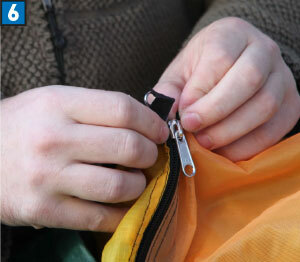 To replace the zipper sliders, open up the stitches at one end of the zipper and remove the little metal clip. 2. Slide off the old sliders. Make sure to note what direction they are facing, and which side of the slider faces up. 3. Slide on the new sliders, ensuring that they are facing the same directions as the old ones. 4. Make sure you have the sliders oriented correctly not only front and back, but also top and bottom. 5. Putting the slider on with the flat end first can sometimes be tricky. 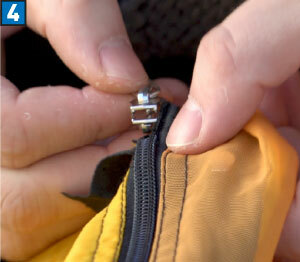 When doing this, make sure you start with the zipper teeth zipped together. 6. 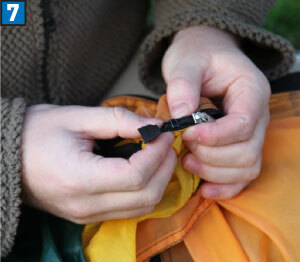 Once you have the slider started on the zipper, work it on further by pulling on either side of the zipper. 7, 8. Once the sliders are on and working, reattach the stitches you undid, and make a few stitches to close the end and to keep the sliders from coming off. If possible, reset the metal clip.